Trevor McPherson, affectionately known as “Shadow” to most people and “Mickey” to Family members, was born October 27, 1957, in St Catherine, Jamaica. He is son of the late Olive Bennett and Astor “Shadow” McPherson. He attended Jericho Primary School and McGrath Junior Secondary School in St Catherine, Jamaica. Trevor migrated to the US Virgin Island in 1974 to live with his father. He later forward to the United States; where he joined the Job Corps in Cleveland, Ohio. He graduated from Airco Welding School in Cleveland Ohio, in June 1978. He was a loving father and a self-made Rastaman. A man who give unselfishly without expecting to receive. Shadow was an ardent supporter of the Jamaica culture which he boasts with every person he met. He was a self-taught musician. On most occasion he would be seen playing the melodica around his favorite spot, Dailey’s on 116th street. 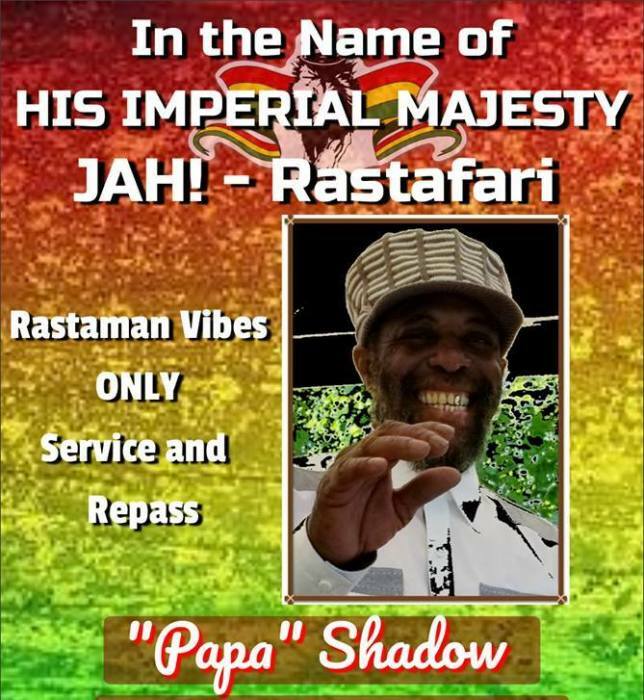 Papa Shadow was a great Rastaman, one of the founders and supporters of the Rasta Community in Cleveland, Ohio. He would have constant conversation to prove the legitimacy of his Imperial Majesty creative force and in teaching the youths about the Most High. Among his skills, Shadow was a extremely talented Futbal and cricket player; he even played with the Cleveland, West Indies Cricket club. He also displayed proficiency in other games such as Domino, one of Jamaica’s pastime table games. In his spare time, he loved the challenge of solving crossword puzzles, playing Ludie, and engaging in “toasting on the mike” as disc jockey at local parties and events. Shadow will be sadly missed by Kelo, Trevor, Ephraim, Andraylon, Trevonna, Travawn, Trevara, Taizhane, and Nina. He will also be greatly missed by his grandchildren, nieces and nephews. Siblings includes Marcia, Sharon M, Angella, Ertha, Sharon H, Christine, Lisa, Tony M, Charlie M, John, JaShub, and Linton.